When the hosts of Top Gear USA took a trio of old (and discontinued) General Motors vehicles for evaluation at the Eaton Proving Grounds in Michigan to see which model deserves a chance to come back, we knew that watching their impending antics would be a treat. Several spilled cups of cola, broken eggs and gallons of water later, Rutledge Wood, Adam Ferrara and Tanner Foust reached the conclusion that the one car The General should undoubtedly bring back before anything else is the Buick Roadmaster Wagon — which was able to outperform a 1980-era Pontiac Fiero and a 1970’s Oldsmobile Cutlass. However, what we didn’t expect was for the hosts to show off a rendering of what a present-day Buick Roadmaster Wagon could look like, wood vinyl decals and all. 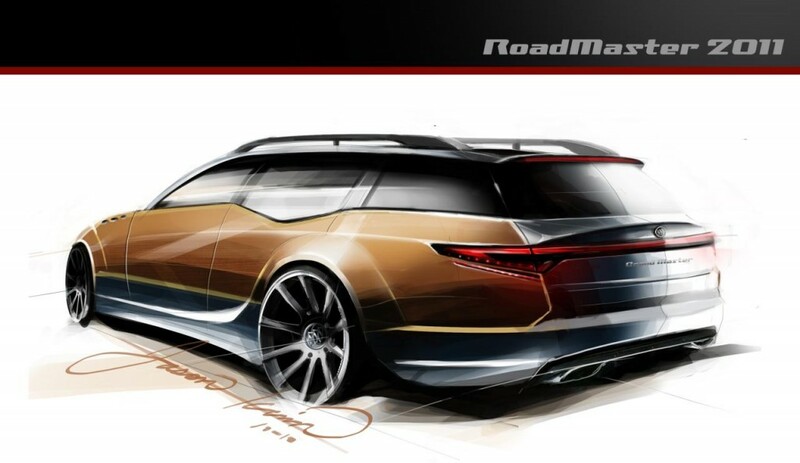 We’re not sure if Top Gear USA have ever heard of the Cadillac CTS Sport Wagon, but it’s hard to argue against their decision process, or the fact that the rendering of an all-new Roadmaster Wagon just teases us with the thought of what could be. 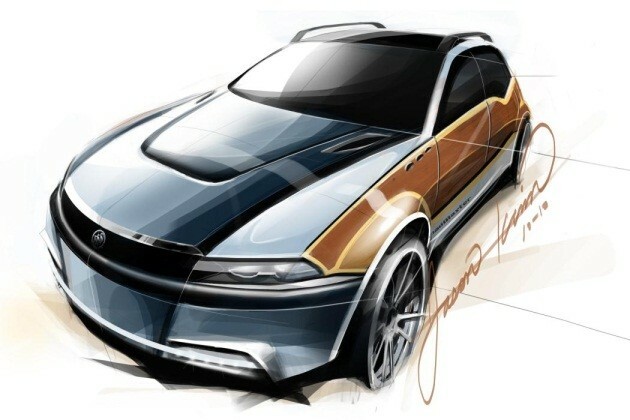 On a related note, how about that Buick Regal Wagon? My parents had a 1973 Buick Estate Wagon & it was the best wagon since their 1962 Buick Invicta Wagon. I saw that video & cringed when they filled it with water. To me, that was blasphemy to a classic! The Roadmaster was definitly the best machine of the 3, Its Caprice platform mate has been morned by Taxi operators and Police Departemts untill like yesterday when GM announced the return of Caprice. Anyhow the Roadmaster’s rugged, efficient utility totaly trumped the classic Cutlass with its revese geometry front controll arms for vastely inferior handleing, and my favorite the Fiero with zero utility 2 place seating and bearely twice the mpg as the usefull Roadmaster. I do’nt know however if Americans would embrace a low to the grownd famally truxter traditional style wagon,with woodgrain sides no less. Chrystler did a fine Magnum a few years back and it even was available with all wheel drive, and I do’nt think It sold all that well.